"MAPL will take you on a musical journey that will entice you, surprise you and move you ... the familiar songs will take you to unfamiliar landscapes, the new songs will take you wherever you wish to explore…"
MAPL is a quintet of Calgary musicians dedicated to exploring the possibilities of The Great Canadian Songbook. 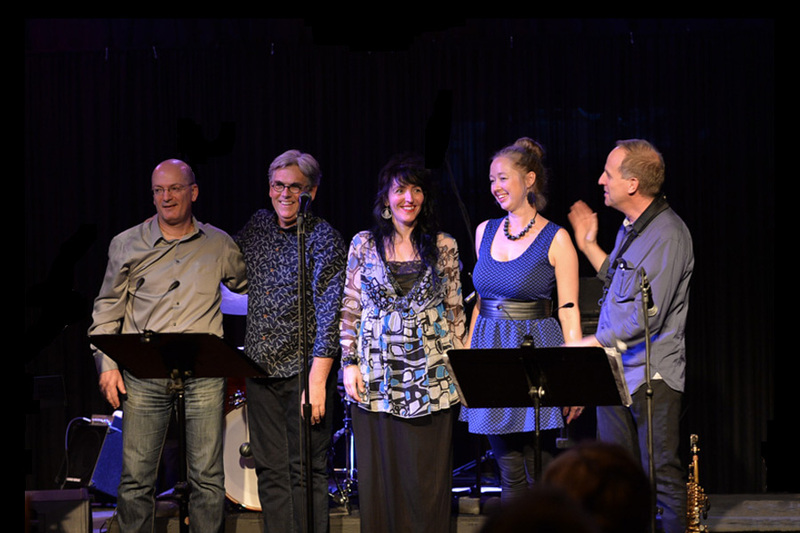 Since it's formation in 2011, MAPL has been bringing its innovative expressions of songs by writers such as Leonard Cohen, Joni Mitchell, Bruce Cockburn, Daniel Lanois and many more, to audiences in Calgary and southern Alberta. With backgrounds in jazz, pop, traditional and classical music, the musicians of MAPL bring both a restless curiosity and a healthy respect for these great songs. The group features arrangements by pianist Andréa Petrity who writes for the beautiful musical talents of band members Frank Rackow on saxophones, bassist Stefano Valdo, Robin Tufts on drums and vocalist Nynne Collins. Original compositions are also featured by group members. MAPL has performed in a variety of venues throughout Calgary and southern Alberta; more recently for 2012 Canada Day Festivities at Calgary's Prince's Island Park as well as opening for the concert series at Okotoks Rotary Performing Arts Centre 2011.